Which Team Get’s the Boot on My Kitchen Rules 2018? 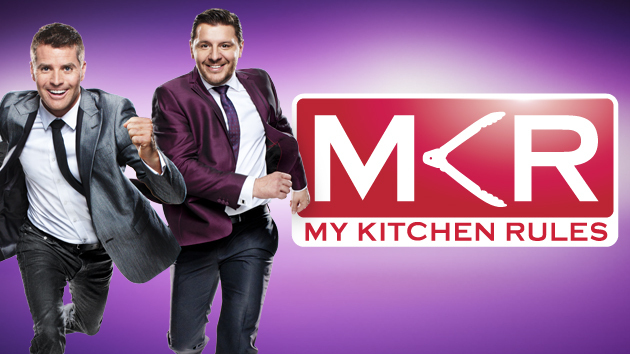 My Kitchen Rules, the cooking competition show that’s become more known for its on-screen dramas and love-to-hate contestants than for any form of cooking, have been proudly advertising for weeks on end that for the first time in the shows long run, one team will been kicked off the show for ‘inappropriate behavior’. As we’re nearing this huge moment, what’s not being said is just which team is getting the boot so it’s time to do some investigating! Looking back at reports when the news first broke back in December of 2017 and January of this year, they all say the same thing : Production on the show was temporarily shut down while Channel Seven investigated an altercation in which sources said the contestants “crossed a line” involving an all-female team. The altercation being noted is a ‘physical altercation’ with another team in a Tasmanian hotel during filming with several reports stating that the other team (which they had been feuding with prior to) was an all-male team. The very last promo for MKR before it’s 4 week hiatus showed a fiery clash with brothers Nic and Josh along side sisters Emma and Jess going against Sonya and Hadil which leads to the booting. As it stands, the all-female teams remaining in the competition include Russian friends Olga and Valeria, fine dining friends Sonya and Hadil, life-long friends Kim and Suong, sisters Emma and Jess and waitresses Stella and Jazzey. Recent promos advertising the elimination cook-off between Kim and Suong and Davide’ and Marco stated “one of the teams at the table would be kicked off” leading us to believe as Kim and Suong were cooking and not at that table, it’s not them. In Tuesday’s most recent episode (April 17th) Sonya and Hadil began to get out of control, attacking Jess and Emma’s comments on their turn in the ‘Super Instant Restaurant” round leading to the all out fight. So who gets the boot? Let’s look at the suspects. The waitress best friends have been mostly clear of any drama thus fur in the competition with Stella focusing all her attention on single hottie truffle farmer Henry. They have though been very vocal towards Sonya and Hadil when they go on the attack. The Russians made a memorable entrance to the show in round two of the instant restaurants, fast becoming the ‘team to hate’ but, once the show kicked into gear after the instant restaurant rounds, the girls have found themselves fitting in nicely with the other teams. There’s been no real issues with other teams since the instant rounds but that’s no to say their fiery attitudes won’t burn up again! The sisters butted heads with now eliminated team Roula and Rachel (yay!!) and started their MKR journey off being very outspoken and not very likable but just like Olga and Valeria, the sisters have merged into the competition nicely with only a few minor spats with members of team two. Reports state that they have direct involvement with this ‘incident in question’ but they were on the receiving end of it. More recently, the sisters have been one to not shy away from calling out Hadil and Sonya when they go on the attack. The Vietnamese mums have been on the receiving end of some not-so-casual racism during their run (Jess’s ‘domestic animals’ comment, Emily’s ‘magpie on the BBQ’ comment and Sonya’s ‘can’t afford fine dining’ snark) and Suong has clashed heavily with both Sonya and Hadil of recent weeks. Suong it seems, has struggled more than Kim when it comes to the politics and games of the show and seems to be a main target for Sonya and Hadil though she has maintained a level head when on the defense. Kim and Suong were also absent from recent promos advertising the “which team” will be booted they were cooking. The ‘stylish’ friends came out strong as the team to beat in round two, but even though the girls manage to continuously deliver outstanding dishes, they’ve become more known for their higher-than-though attitude and constant attacking of the groups in team one. They have clashed with both Emma and Jess and Kim and Suong on more than one occasion showing they are not afraid to take down anyone they deem not up-to their level. The very last promo previewing the upcoming episode where it all goes down showed both girls going on into mega attack mode, with their sights firmly set on Emma and Jess and Nic and Josh. Check out the promo for the “Super dinner parties” round and the fight that will see one team kicked out of the competition! So there you have it. Based purely off the contestants left and earlier reports of what happened, my guess is Sonya and Hadil. Do you agree? Disagree? Sound off in the comments section! Two sassy country town cousins versus the super confident pommie best friends. It’s an MKR final that no one could have picked when asked after the two instant restaurant rounds had been completed. Cousins Jac and Shaz and best friends Will and Steve have – for the most part – had a breezy run in the uber long cooking competition. The Mount Isa cooks have actually had the easiest of runs into the final, nabbing multiple challenges off due to winning the coveted ‘peoples choice’ on two challenges. Will and Steve however have found themselves in a sudden death cook-off only to finish the final instant restaurant round on top of the leader board. 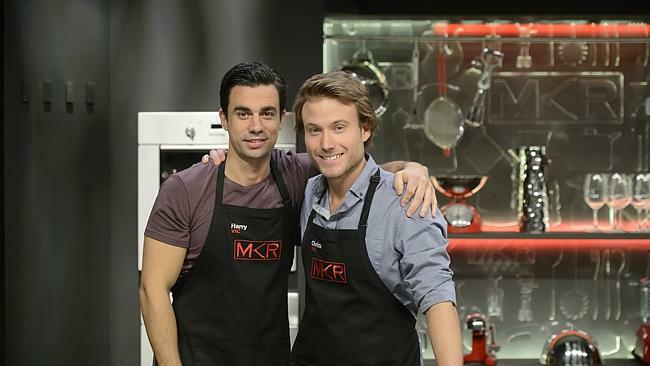 So who will win the title of My Kitchen Rules 2015 champions? While Camilla and Ash were my top picks, Jac and Shaz’s easy going nature and fantastic home-style cooking have earned them a legion of fans with myself included. Will and Steve too have a well earned following thanks to their British pub inspired recipes and are the first all-male team to make the MKR finals. 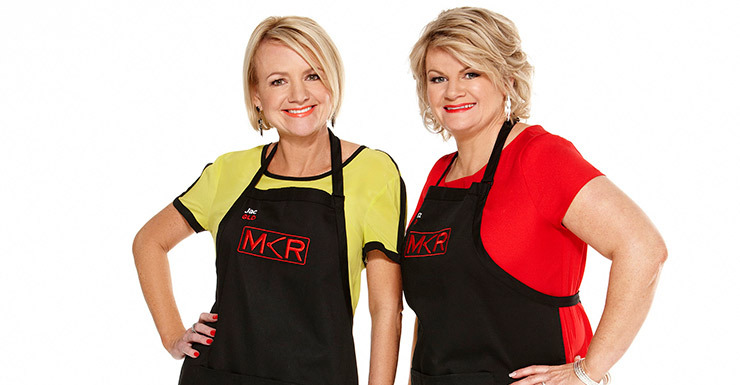 Back on the #MKR bandwagon and definitely on team #jacandshaz. They say things like "buggered up my lemon curd". Go QLD! And just for reference….I’ll be backing Jac and Shaz for the win!. 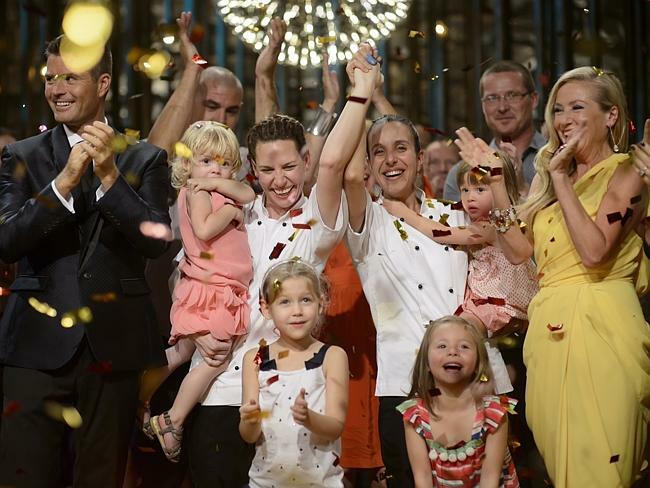 After scoring a set of straight 9’s from the judges, South Australian mum’s Bree and Jessica beat out Chloe and Kelly to take out the title of My Kitchen Rules champions for 2014 and earning themselves a cool $250,000. I must say, I was a little taken aback by the mum’s win though. Sitting there watching the two hour cooking marathon, both myself and my boyfriend were convinced, the least liked of the two teams – Chloe and Kelly, were sure to win. And this was based purely on the judges comments while eating the courses – though I can only assume, the bones found in the trout and the thick cut rose glass on the desert was what let the girls down. Just like last season, both Bree and Jess and Kelly and Chloe had no idea who had in fact won even though the finale was filmed over a year ago. Two endings were filmed with each team winning and it wasn’t until last night’s airing that Bree and Jess discovered they had beaten the well traveled foodies. After the hooplah that has been talk of rigged scoring, judge favoritism, bullying and teams being sent to cooking classes (perhaps they should send them to a cooking class where they actually learn to cook – Harry, i’m talking about you) My Kitchen Rules finishes for another year on a high and a massive ratings win. 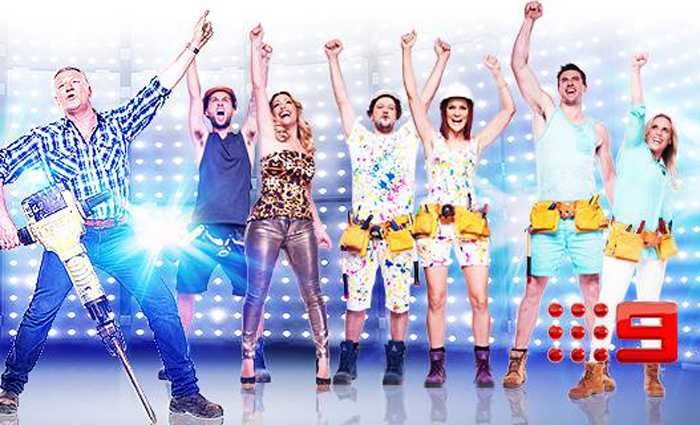 My Kitchen Rules is set to return for another season – with or without Pete Evans – in 2015 on Channel 7.